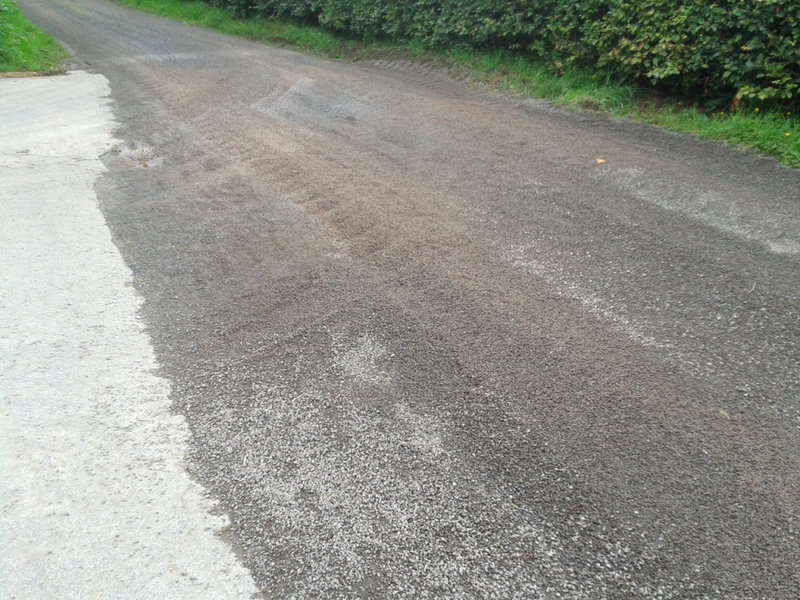 Now, this section of road was fairly bad, with a couple of craterous potholes, so I’m grateful that it’s been repaired, but not at the expense of turning my quiet back road to the papershop into a skid hazard. I appreciate that this method is cheaper than doing it properly, and I know that theoretically after two or three days the surface will have bedded in, but that rather relies on there being a steady stream of cars to press the chippings into the tar. But given the levels of traffic on this road, it will be more like weeks before I’ll be able to rely on being able to stop safely in any kind of a hurry. 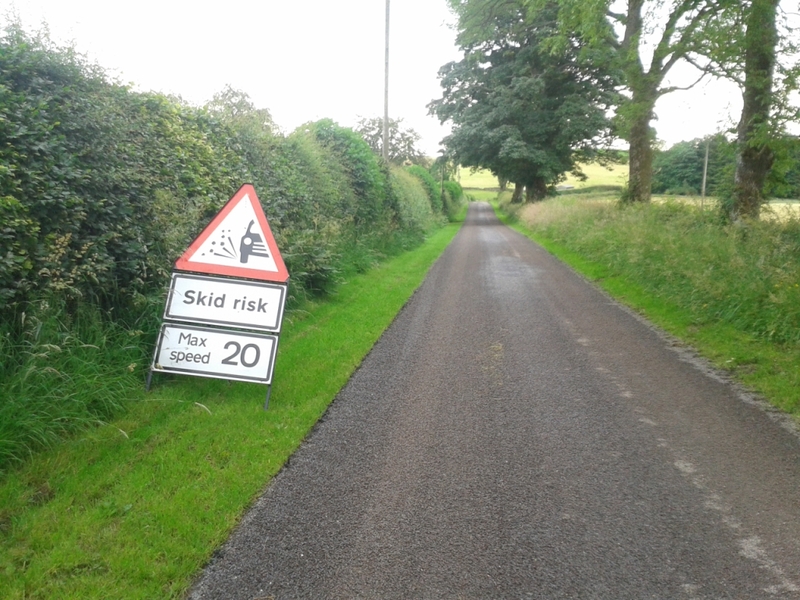 And I don’t imagine being close passed by anyone ignoring the 20mph limit will be much fun either. The farm yards are the worst: the tractors have already put tracks into the chipping which shows how thick the loose layer is. That was always a brilliant downhill section to savour on the way home, too. The only upside is that I was so annoyed by all this I forgot all about the buzzard till I was halfway up Buzzard Alley, and it didn’t even bother to swoop. Clearly, when it comes to being a hazard to passing cyclists, it knows when it’s been beat.